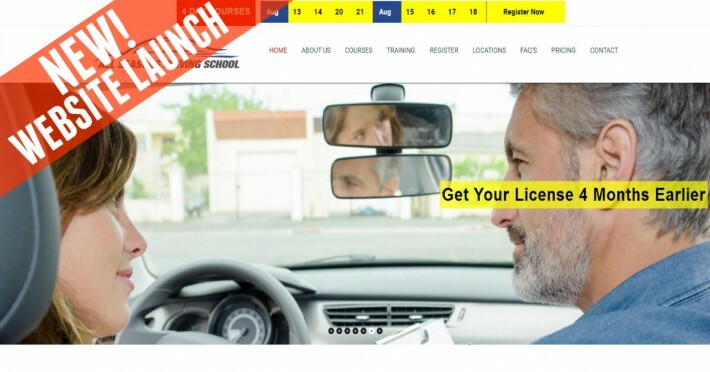 This week’s website launch post is dedicated to allseasonsdrivingschool.ca. All Seasons Driving School is a local driving school with locations in Pickering, Ajax and Uxbridge. The client had approached us initially to develop a stronger online presence as their old website was not doing well. We recommended a PPC (pay-per-click) campaign to get real-time results, but we noticed that their website itself was not functional. The client had a basic website with a WordPress CMS design, however there were several key elements that really needed to be improved upon and we brought this to the client’s attention. For example, it was very important to transition into a mobile-friendly website. Since PPC drives traffic to websites, an improved website design was essential to their success. The really great news is that within a very small time period of launching their PPC campaigns, the client attained top rankings — going to first-page search engine ranking from almost no visibility at all! The client quickly ranked at #1 for the targetted keywords in their target area. The website has undergone a full revamp and we continue to maintain their website and web development strategies. We wish the team at All Seasons the very best as always, and raise our glasses (of water) to toast their success and our partnership.